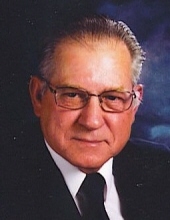 Dale T. Cary, age 72, of Glenbeulah, made his final journey to heaven on Tuesday, January 22 at Sharon S. Richardson Community Hospice after battling cancer for a year. Dale was born on January 26, 1946, a son of the late Elwyn and Mary (Gilles) Cary in Greenbush, WI. Dale lived his entire life in rural Glenbeulah where he farmed for many years. Dale married Linda Postuma and had a daughter and two sons. He later married Ruth Recker on September 23, 1978 in Bloomington, WI. They have two daughters. Dale graduated from Plymouth High School in 1964. He worked at Greenbush Feed Mill, Ebenreiter Lumber Company, Schneider Cheese, and Henning’s Cheese. Dale was the Dairy Project Leader for Spring Valley 4-H Club and an active member of the Elkhart Lake-Glenbeulah FFA Alumni serving as Secretary. Dale served as a County Board Supervisor for Sheboygan County and most recently served as a Trustee on the Village of Glenbeulah Board. Dale was a member of St. Thomas Aquinas Parish in Elkhart Lake and he was a parish trustee at St. Fridolin’s Catholic Church in Glenbeulah. Dale enjoyed being a dairy farmer and most recently gardening with a green thumb. Dale was a hard worker, a loving husband and father of five. He enjoyed being with his family especially his grandchildren in sharing the love of life. Dale is survived by his wife of 40 years Ruth Cary of Glenbeulah, his children; Brenda (Greg) Peterson of Eveleth, MN; Eric Cary of Glenbeulah, WI, Adam Cary of Oak Creek, WI, Ellen Cary of Glenbeulah, WI; and Paula Cary (Adam Miley) of Lodi, WI. Grandchildren; Kitara, Koriana, Skylara, Quaid, and Quin Peterson of Eveleth, MN. Godmother; Elizabeth Quackenboss of St. Cloud, WI. Sisters; Sharon (Robert) Limberg of Glenbeulah, WI and Orlene (Walter) Phipps of Glenbeulah, WI. Sisters and Brothers-in-law; Mary (Richard) Loftus, Mary Teresa Recker, Ed (Carol) Recker, Bev (Jim) Callahan, Irene (Larry) Callahan, Tony (Dee) Recker, Louise (Robert) Wiederholt, Louis (Sue) Recker, and Joseph (Alana) Recker. Dale is further survived by many nephews, nieces, cousins, friends, and his three fur babies Chloe, Angel, and Moonlite. Dale was preceded in death by his parents, nephew; Walter Phipps, cousin; Sandy Amweg, Father and Mother-in-law; Victor and Alice (Blum) Recker, and Brother-In-Law; Andrew Recker. Mass of Christian Burial will be held on Saturday morning (January 26, 2019) at 10:30 AM at St. Thomas Aquinas Catholic Church in Elkhart Lake, WI. Father Philip Reifenberg, Pastor of the Church will officiate. Burial will be at Greenbush Cemetery. Visitation will be held on FRIDAY evening (Jan. 25) from 1:00 PM to 5:00 PM at Suchon Funeral Home and again on Saturday morning (Jan. 26) at the CHURCH from 9:00 AM to the time of service. In lieu of flowers, a memorial fund is being established in Dale’s name. The family would like to extend their deepest gratitude towards the staff and doctors at Grafton Aurora Cancer Center, Grafton Aurora Hospital, Sheboygan Memorial Hospital, and Sharon S. Richardson Community Hospice as well as the many family and friends who have supported our dad during his journey. To send flowers or a remembrance gift to the family of Dale T. Cary, please visit our Tribute Store. "Email Address" would like to share the life celebration of Dale T. Cary. Click on the "link" to go to share a favorite memory or leave a condolence message for the family.